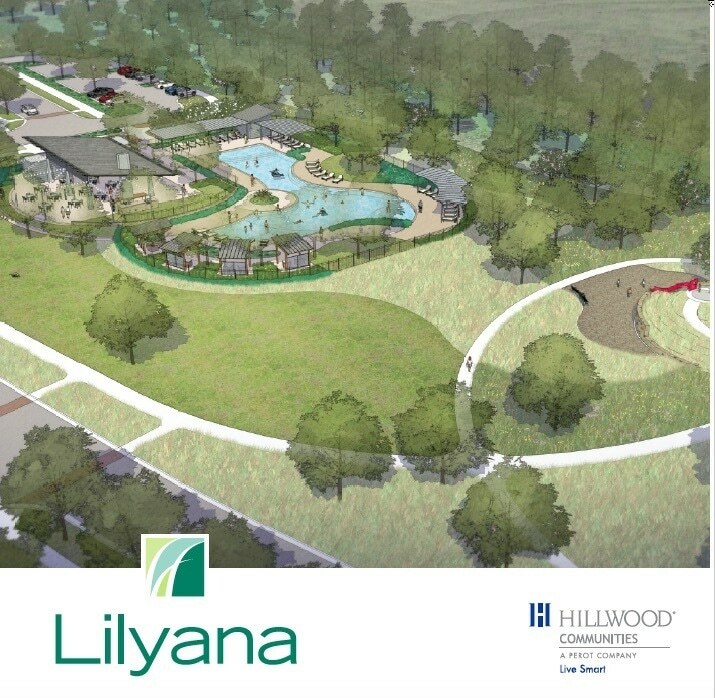 Hillwood Communities, a Perot company, will host the groundbreaking of the Lilyana property at 9 a.m. Thursday, July 28, 2016 kicking off what will be the newest master-planned development in Celina, Texas. Celina Mayor Sean Terry and Hillwood Communities executives – including President Fred Balda and SVP Elaine Ford – will be available for interviews and photos at the event. The 400-acre tract at the northeast corner of FM 1461 (Frontier Parkway) and Coit Road, in Celina, is approximately 10 miles north of Frisco and the area known as the $5 Billion Mile. Hillwood acquired the land from the Wells family (owners of the property since before the Civil War) in 2015. The $500 million project will entail a master-planned community of 1,250 single-family homes featuring resort-style amenities and a linear park with an amenity center including a resort style pool, pavilion and outdoor kitchen. It will also include 63 acres of green space with multiple community parks and several miles of trails. The new community will be served by Prosper ISD. The first phase of homes will be completed in Spring 2017. The transaction of the land was conducted between Hillwood Communities and the Wells sisters, Marianne Wells, Katherine Wells Power, Nancy Wells Warder and Sarah Wells Macias. The new community will be built using Hillwood’s LiveSmart principles: Sense of Community, Technology, Healthy Living, Environmental Stewardship and Education & Enrichment. The expected price of homes will average high $300,000s and the builders are Highland Homes, David Weekley Homes, CalAtlantic Homes and American Legend Homes.